Joany Badenhorst on The Morning Show with Prosthetic Covers Designed by Hone. Joany Badenhorst is a 23 year-old Para-Snowboard World Championships Multi-Medalist is Australia’s first female representative in the sport. 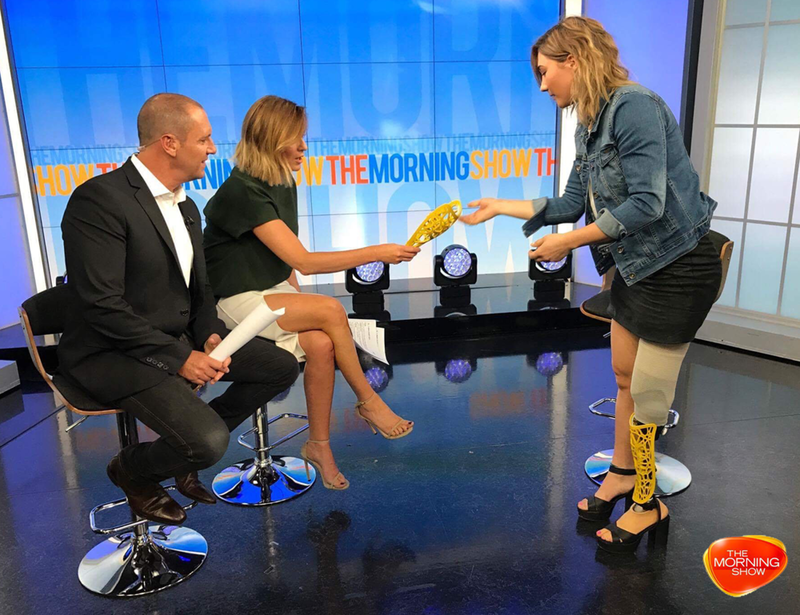 The 2017 Cosmopolitan's SportWoman of the Year, and ambassador for Form Prosthetics and Ossur, made an appearance on Channel 7's The Morning Show to share her life story and amazing success. She wore the Hone designed prosthetic covers and demonstrated how they work. Watch a clip from the interview here. Hone Designed Products Featured at Dutch Design Week 2017 by Shapeways. Hone PD's Managing Director Talks Product Design on Wray's Pioneer Podcast Series.